I was dropped out of the top 51 before I finished and I know how it looks like, to show up at this moment. I know that this fact makes it an even harder case for me to get back to the top 51, but I will continue to contribute and now that my life is finally on track, I can focus on getting my contributions and being part of this community again, like before. I want to resolve all the problems that may have happened during this time, so please DM me with any issues. Going forward, there’s a lot that I’d like to do. I know that having a second chance is a hard case but please let me at least try!" Thank you very much for keeping your vote while I try to get back in the top 51, that means a lot to me, I’m very grateful!! Also thanks for posting the update on BTCT! I wasn’t aware of that thread! 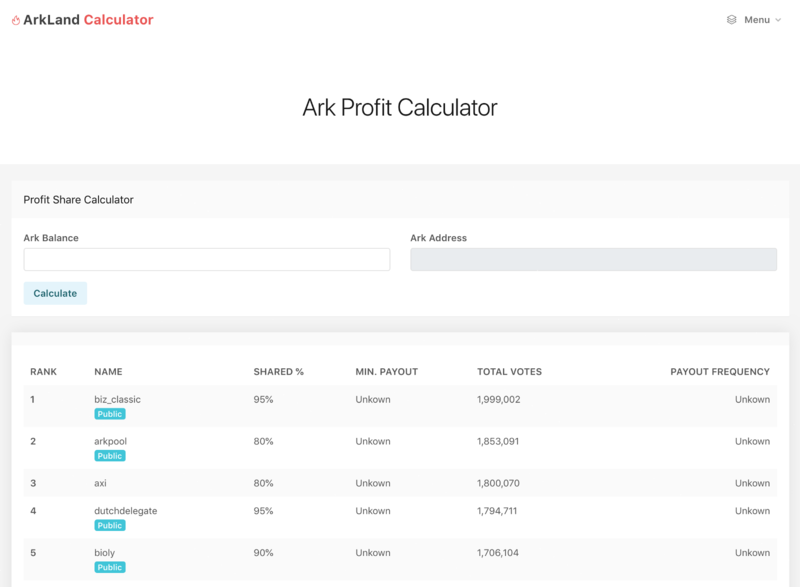 It is a self-service calculator, this means delegates can register/login and update their profit share stats by themselves. Do another contest, those things are great! Payments stopped at 27.october. It seems like dates 21, 11 and 9 October, 28, and 19 September , have not been payed out. Also I noticed that arkland was not mentioned in the calculator, when I searched. And agreeing with @GreenBayBrewer on the contests. Haven’t been able to attend one of those yet. @GreenBayBrewer Ah, my fault, didn’t realize you fell out of the top 51 - my fault! Ok, I’ve checked the address, and what happened is, our panel uses the UTC timezone. When it sends payments. So if a payment is sent when it’s past midnight in the UTC timezone, the link on the smartbridge message will point to the next day. The payment was sent on Oct 21st at 8:38pm on my timezone (I’m in Eastern US), but since it was already past midnight on the UTC time, the smartbridge message, and my panel, shows that it was sent on the 22nd. The same confusion with timezones happened on September 19th! On Oct 9th and 11th, that was when the network suffered severe outages and all delegates went offline until the issue was fixed. Unfortunately, on those two days, all delegates had to skip payments as no ARK was forged. The network was completely halted. You can count the number of payments you’ve received and you’ll see that all payments have indeed been paid out Please let me know if the explanation above doesn’t make sense. 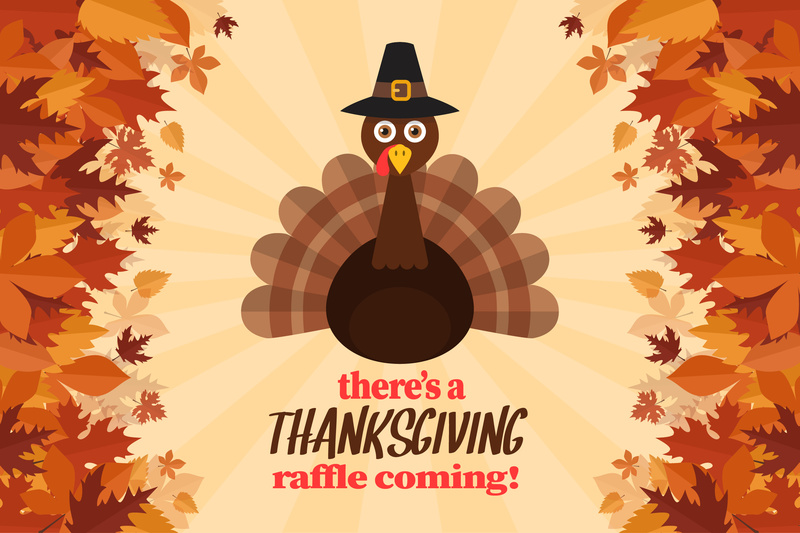 I’d like to announce that I’m currently working on the Thanksgiving raffle! It will go up soon this month!! For those that haven’t been able to join one of our raffles yet, this is your chance!! We’ll also receive a donation of 250 Ark to be paid additionally to the prize pot Stay tuned!! @arkland , Thanks for the fast reply! Didn’t think to look in explorer… Then everything is good!! Hey everyone! Thank you very much for the recent votes, and a huge thank you to the voters that have sticked by be and haven’t unvoted 🤗 It’s looking like Arkland is almost rejoining the top 51! @arkland Hi Arkland,I read you were away due to accident. Get well soon. However, I havn’t received any payments since 27/10/18 yet you still have my vote.Can you check this address? AXMUxqWdKBb2Fy9tBR69Pf3Sr8NXsGuWSR thanks! Plz remburse the vote fee! @RivAngE Haha no worries man It was nice talking to you too! Cheers! Like all of our past raffles, this one also runs on Ark’s Smart Bridges. There are 360 tickets available, from 000 to 359, and each ticket costs 2 Ark (2.1 Ark including the transaction fee). Drawings will happen on November 22nd, at 8PM EST time (UTC -5), and we’ll have 3 lucky winners! The first place gets 580 Ark and a customized The Golden Horde gift, second place gets 242 Ark and third place gets 145 Ark. Like before, you can verify the drawings here. This url has been permanently stored in the blockchain, so users can verify that it has not been changed. All smart bridge codes were stored in the URL above, and cannot be changed.